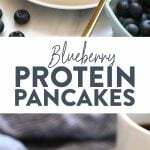 We’ve got an easy blueberry protein pancakes recipe for you that’s made with 100% whole grains, your favorite protein powder, mashed banana, and blueberries! You’ll never use another protein powder pancakes recipe again. Hello pancake lovers! 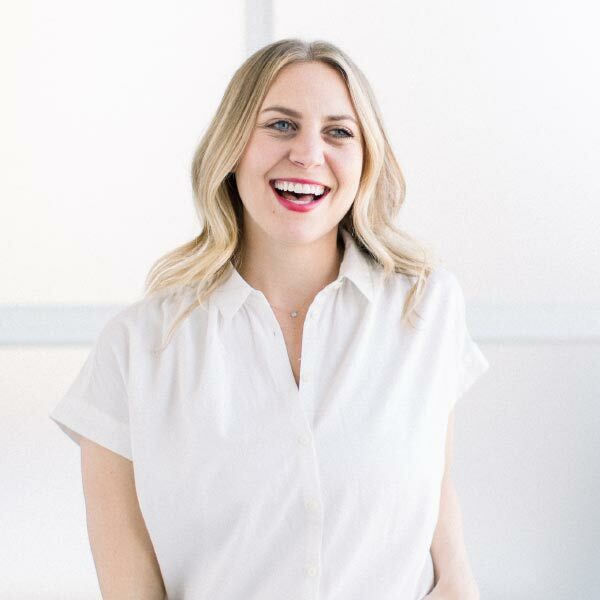 Here at Fit Foodie HQ, we eat pancakes at least once a week…and sometimes for dinner. 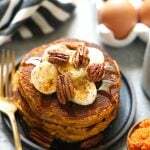 Lately, we’ve been loving protein pancakes because you get little extra nutrition in your meal by using a scoop or two of your favorite protein powder. 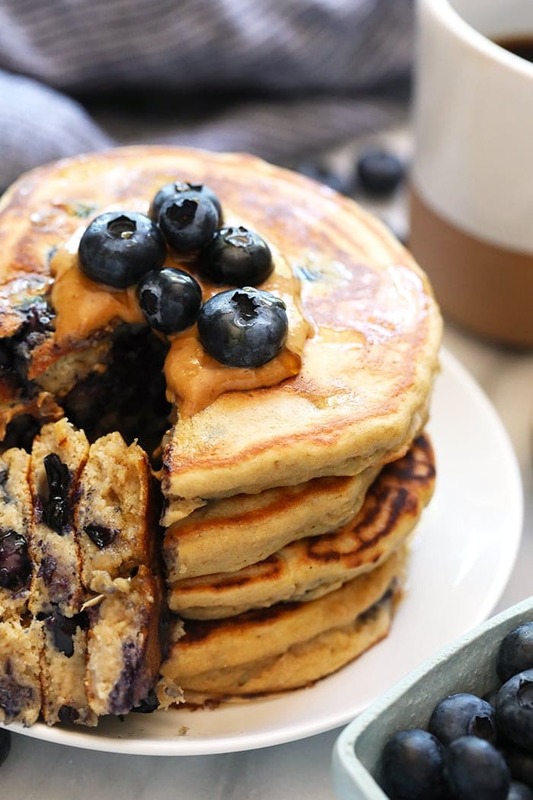 Follow our little step-by-step guide into making the most delicious protein-packed blueberry pancakes! 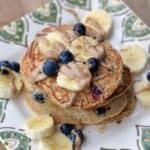 Making protein pancakes is super simple and we’ve broken things down into just a few steps so that you can make the tastiest protein powder pancakes out there! We tested this recipe using our favorite plant-based protein powder, Garden of Life, however, you can use whatever protein powder you want! If you’re unsure of what kind of protein powder you might like, check out our Guide to Protein Powders. We tested some of the best protein powders out there in the plant-based and whey categories! Like all pancake recipes, make sure not to overmix your batter! There’s nothing worse than a flat pancake…amiright? When cooking your blueberry protein pancakes, turn your burner to medium heat. This will allow your pancakes to fully cook in the middle. If the burner is too hot, you risk scorching the outside while undercooking the inside. I’m a toppings girl. There’s no such thing as a stack of pancakes without toppings. 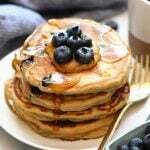 Here are some we recommend for these blueberry protein pancakes! In a medium bowl, mash 1 banana. Then, whisk in eggs, vanilla, and almond milk. Set side. In a large bowl, whisk together flour, protein powder, baking powder, and salt. Then add wet ingredients and whisk until combined. 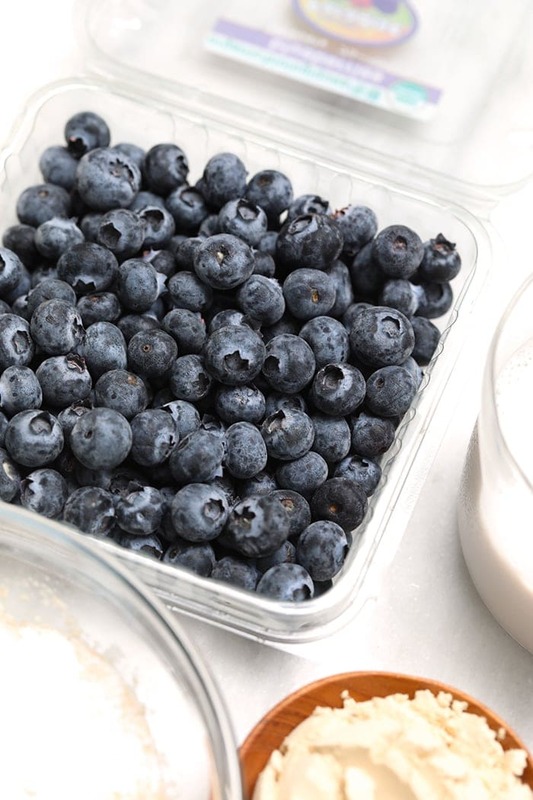 Add melted coconut oil and fresh blueberries and mix again. Spray a large, nonstick skillet with coconut oil cooking spray and preheat over medium heat. Once heated, pour on ⅓ cup of batter. Let cook for about 2 minutes per side, or until golden brown. 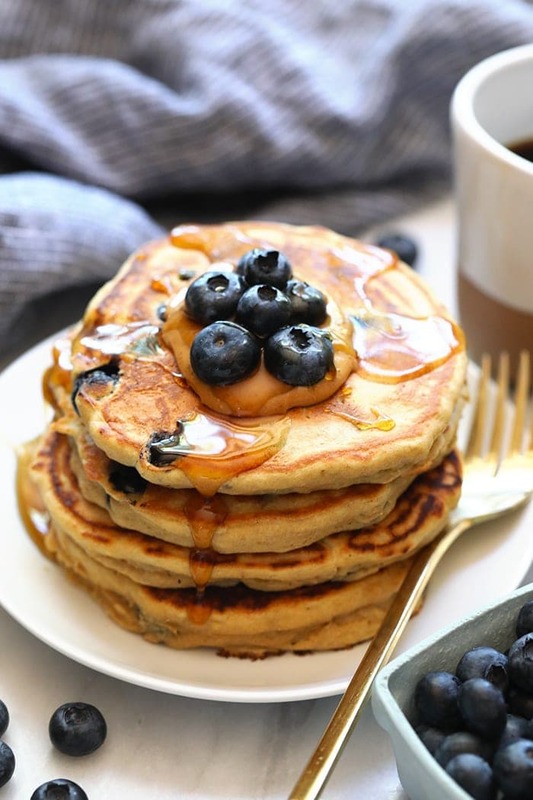 Serve with 100% maple syrup and more fresh blueberries. Depending on what protein powder you use, you may need to add more almond milk. We suggest starting with 1 cup and adding by the tablespoon. Want more breakfast recipe inspiration? 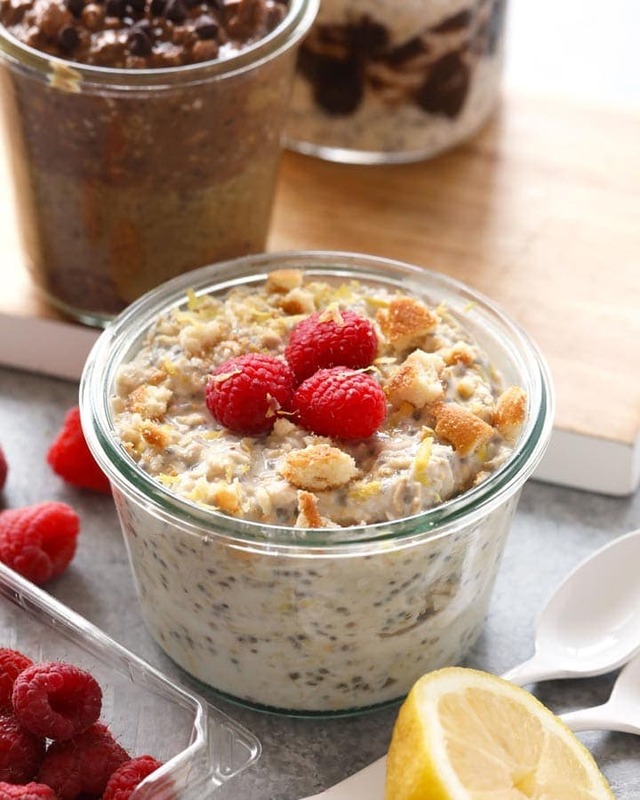 Check out our post called: 82 healthy breakfast recipes.